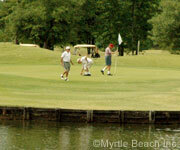 Myrtle Beach SC Guide to Hotels · Restaurants · Weddings · Golf · Real Estate · Gambling Boats · Fishing · Shows & More! 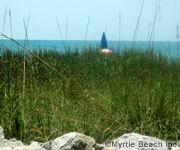 Welcome to the Myrtle Beach online guide with information for the areas of Myrtle Beach and the entire Grand Strand. Myrtle Beach is a fun, lively, bustling beach town during the summer season, with millions of visitors choosing to spend their vacations on our beaches year after year after year. Families, golf groups, students, seniors, snow birds and even international travelers choose Myrtle Beach to relax on our beautiful white sandy beaches, to play in the warm waters of the Atlantic Ocean, and to golf and enjoy outdoor activities in our warm southern climate. Myrtle Beach is considered to be one of the nation's top family vacation destinations, welcoming vacationers of all ages with a variety of activities and entertainment venues to suit every generation. Visitors who've been returning here for decades have noticed that the face of Myrtle Beach continually changes from year to year, as new attractions, water parks, amusement parks, entertainment complexes, theme parks, world-class concert venues, golf courses, shopping centers, outlet malls, live music theaters, new oceanfront condominiums and luxury resorts are built, expanded, or renovated. Our area is also widely known as one of the top golf vacation destinations in the United States, now boasting over 100 courses along the Grand Strand, including signature courses from some of the top pro golfers and course designers in the world. Myrtle Beach is also known as a romantic spot for couples and their families to come and get married via traditional ceremony in a chapel or to have a beach wedding, followed by a memorable romantic honeymoon in this seaside resort town. Another very unique thing about this area is the number of excellent restaurants and choices of cuisine available. Even if locals ate out every day, every meal, they wouldn't be able to try them all -- the local chamber of commerce claims there's over 1700 full-service restaurants along the Grand Strand. 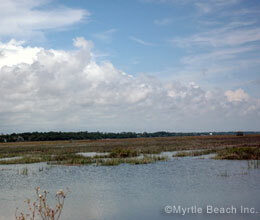 It's true that there's always something to do in Myrtle Beach.. In fact, you'll have trouble finding the time to do just a fraction of the fun things in this area during a one-week or two-week vacation. By providing information about what our area has to offer, it is our hope that we're helping you plan a better vacation, saving time and money in the process. 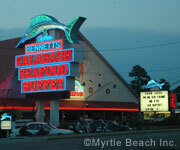 We sincerely want you and your family to have a wonderful time in Myrtle Beach, and we think you will. Like many of us transplanted locals, you may even fall in love with the area and decide to relocate or retire here one day.